Pond plants are a great way to add color and diversity to your water feature. If your pond or fish tank is purposefully designed to be a focal point or centerpiece within a particular area of your garden or home, then its presence will have a far reaching effect on the appearance and feel of the space. Naturally you’ll want to do everything you can to make sure that it’s constantly kept at its best and looking interesting. Of course this isn’t only for appearances, it’s to keep the water healthy and avoid stagnation and the foul look and smell that comes as a result of poor water quality and lack of oxygenation. Vallinsernia and Anacharis are known as the best oxygenating pond plants. It’s definitely worth optimizing the pond with attractive plants to make the most of the space. Not just for you, but also your goldfish or koi. If it’s going to be the first thing you see when you walk into the space, then you want to keep it looking at its best. Sounding familiar, we have the perfect solution for you. You’ll hardly be surprised to read that different types of fish originate from completely different locations around the world. To the point where some varieties of fish in your pond or tanks would be unlikely to ever meet in the natural world. This means that in the wild each type of fish would be used to a different selection of pond plants. For this reason, we suggest researching the types of plants that are best suited to the type of fish you’re keeping. I’ve found Encyclopedia of Water Garden Plants one of the best books around. What I like about the book is that waterlilies, lotus, submerged, floating and marginal water plants all get their their 15 minutes of fame in the lavishly illustrated encyclopedia by Water Gardening Magazine founders Greg and Sue Speichert. Each category of pond plant is discussed in its own chapter and I highly recommend it. You’ll find it’s well worth the price. Buy this wonderful book at the best price from amazon. Having an attractive collection of plant life in your pond or tank is a great way to enhance the look and appeal. A big tank which contains very little or no plants has an uncanny ability to make a room look empty and drab, which defeats the purpose that most of us have for setting up a fish tank in the first place. A wide range of sea fauna and plant life is readily available. It’s easier than it’s ever been to acquire a mind boggling range of pond plants at very reasonable prices. But with such a huge number of water plants for ponds to choose from, how do you know which ones are best for your particular tank or pond? 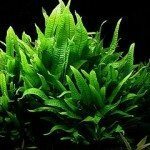 To find the best plants for your water feature check our the Encyclopedia of Water Garden Plants on this link. Every tank and pond is completely different from the next, and your plant needs will be different depending on the size of your tank or water feature, water temperature and of course, the kinds of fish that you keep. For tips to help you choose the best pond pump for keeping your aquatic life healthy and water sparkling, click on this link.